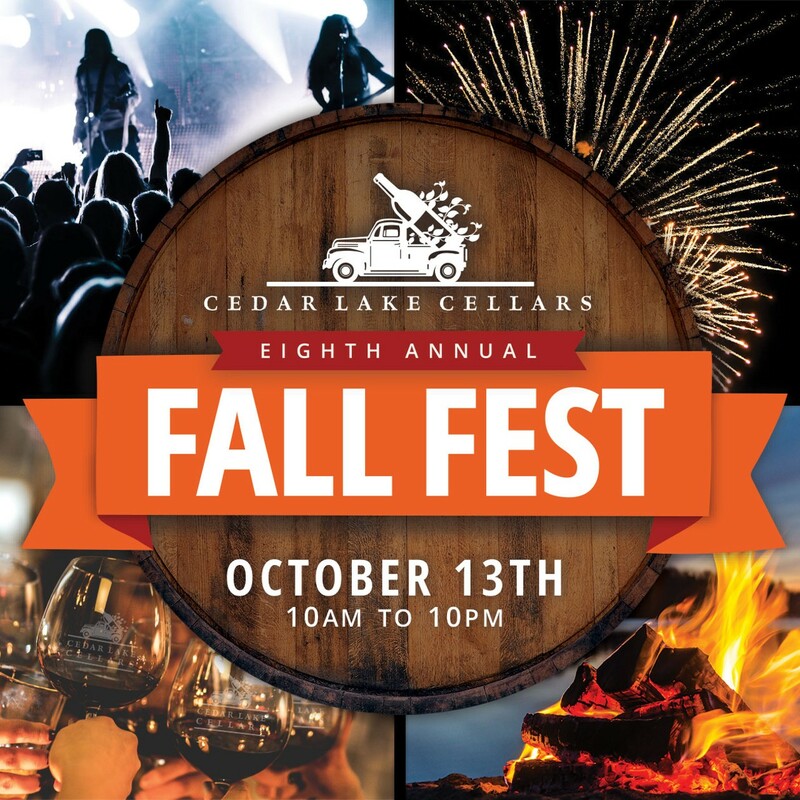 Cedar Lake Cellars, a year-round winery and event center, will host its eighth annual Fall Fest celebration for those 21 years of age and older. 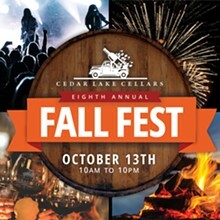 General admission is $10 per person for all day winery access. Musical entertainment features Smash Band from 1 to 4 p.m., Yacht Rockers from 4 to 7 p.m., and Boogie Chyld from 7 to 10 p.m. A fireworks show by Pyromania begins at 8 p.m. and will be viewable from the winery grounds.